With over 20 years of professional experiance. We provide you with the best information and help you build a strong case. 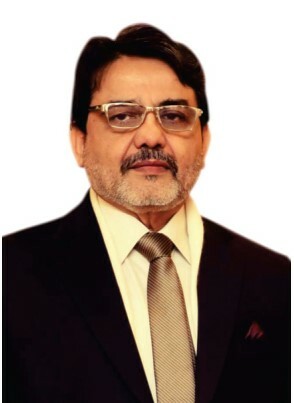 Mr. Nasir Shabbir is the founding CEO of Al Masoom Services established in 1998. He has been instrumental in Al Masoom Services rapid growth and in positioning it as the fastest growing service provider in regards to Translation, Attestation, Online Visa Form and Visa Documentation in Islamabad. Mr. Nasir’s concept behind the establishment of Al-Masoom Services was to cater to the needs of Pakistani nationals residing abroad or Pakistani nationals planning to move abroad since they require certain documents to be translated in different languages in order to complete their respective documentation. This leads Mr. Nasir to establish Al-Masoom Services that has been providing translation and other Visa Documentation services to nationals living in Pakistan and those living abroad since 1998. Due to his 20 years of expertise and dedication to Al Masoom Services, it has been recommended by National Language Authority Pakistan, Bahria Town, Islamabad Hotel and The Ministry of Haj etc. Al Masoom Services provides a wide range of multi-sectoral services under one platform since 1998, which includes documentation required for immigration or non-immigrant visa, translation of various documents into different local and international languages and guidance for foreign education. The company has adequate infrastructure and foreign qualified management experts and specialists having in-depth knowledge of foreign highly qualified and experienced translators. To improve their translation service further, the company has highly qualified university faculty on their panel for this purpose. Translations Documents are translated in all local and international languages. The company also provides information regarding Attestation of family and educational documents from HEC, IBCC, SAUDI CULTURE, SAUDI EMBASSY, UAE, QATAR and many more.